2 Million Celebration: The Comic – Zombies, Run! 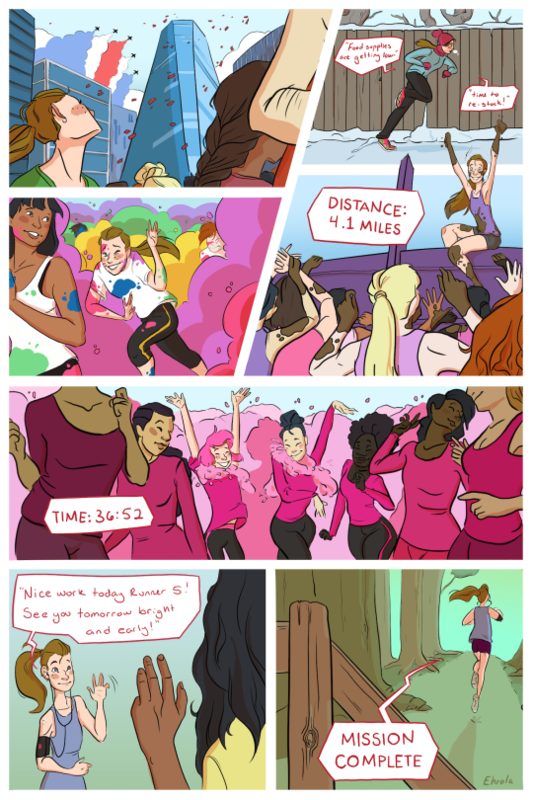 We asked one of our favourite fan artists, Shannon Ehrola, to create a comic for our 2 million milestone. 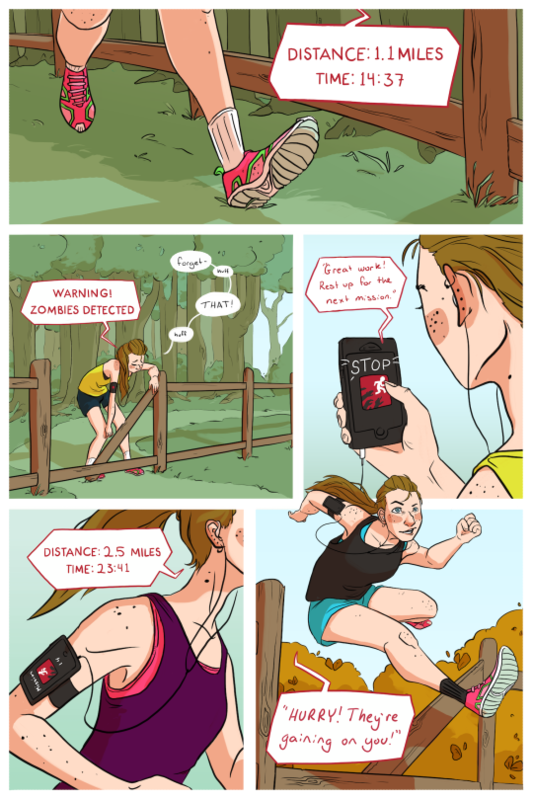 Here’s Shannon’s experience with Zombies, Run! I’ve been using Zombies, Run! for two years now and it’s been an amazing experience. I’m one of those people who needs motivation to work out, but I also dislike going to classes at the gym. ZR was perfect for me! It was like a video game, it had a cast of characters and a story I easily became invested in, and it helped inspire me to improve my physical fitness. I was completely hooked! Instead of running being a chore I was excited to find out what happened next, to improve my base, and to beat my last time. Since I first started training with ZR, I’ve participated in several 5 and 10K races with more planned for the future, something I’d never even dreamed of doing before. One day I’d like to complete a marathon and I’m sure ZR will help me get there!